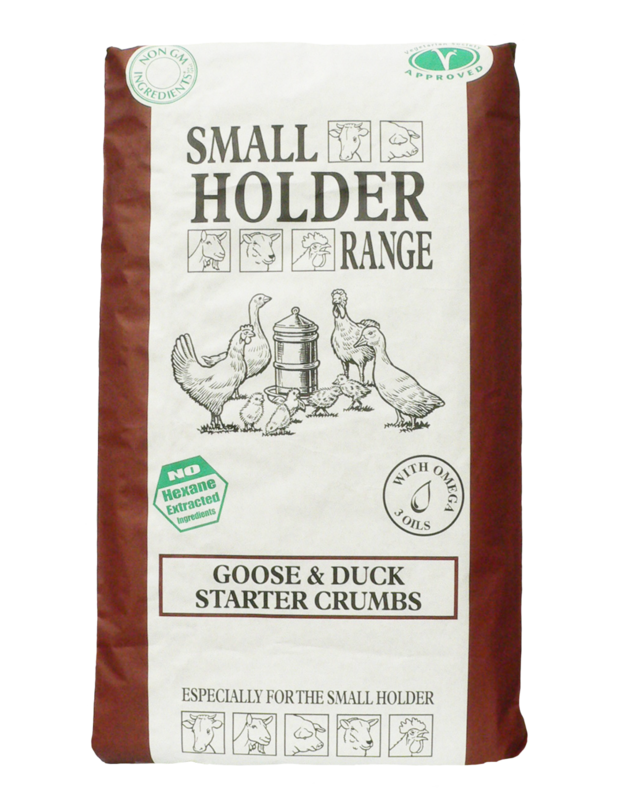 Goose & Duck Starter Crumbs is formulated specially to encourage natural growth rates from hatching. 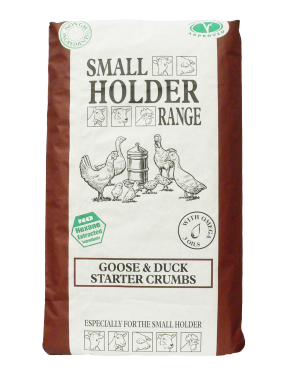 Feed ad lib from hatching until 3-4 weeks before gradually changing over to Goose & Duck Grower / Finisher Pellets. Introduce a new feed gradually over 7 to 10 days to help a smooth change over. This feed should be fed with ad lib fresh water.